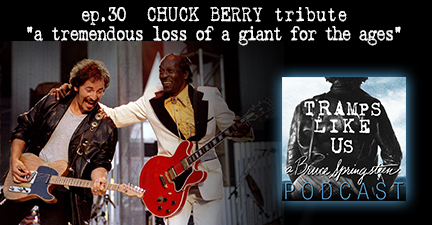 We pay tribute to the great Chuck Berry in this episode of the podcast. Tellin’ stories, playin’ music, and connecting it all back to Bruce Springsteen & The E Street Band. 2 hours of maximum rock’n’roll. Turn it up!